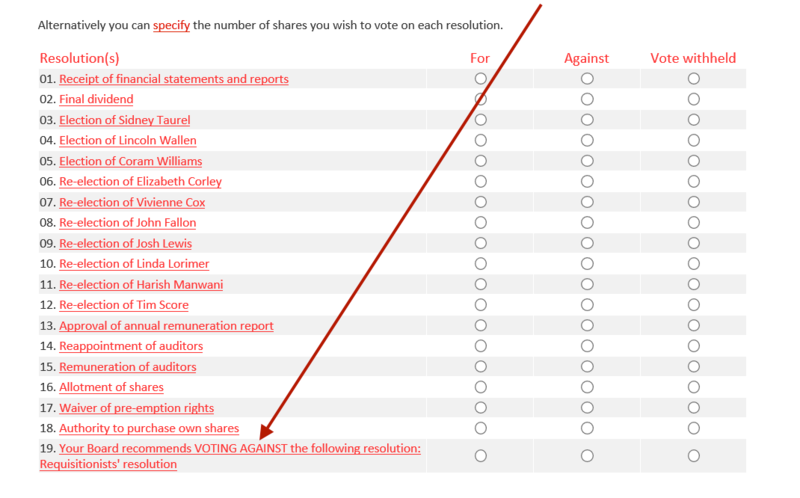 Unsurprisingly, Pearson’s directors have recommended that shareholders vote against a resolution that calls for a change to their business model. The largest education conglomerate in the world says its business model is strong, but the Pearson name is toxic in the United States, at least among parents and teachers. Pearson’s stock price has dropped significantly in the last two years; and its business model is based on high-stakes testing in this country and on privatizing education in the developing world. Those practices are bad for students—and, if you are an education company, bad for business. So when the American Federation of Teachers and a coalition of investors called on Pearson to review its business practices and come up with a new strategy, the company should have embraced it. Instead, Pearson’s board of directors put their hands on the scale—recommending that shareholders vote AGAINST our effort to hold the company accountable. Tell Pearson it’s time to change course—send a letter in support of our resolution now! Pearson’s brand is becoming toxic because it promotes bad policy that puts profit over what’s good for students. But its model is so broken that its stock price is down more than 40 percent in the last year, making Pearson a bad bet for investors and public schools. In the United States, parents and students are opting out of Pearson’s high-stakes tests and telling governments to end contracts with Pearson. Pearson puts “gag clauses” in test contracts to prevent teachers from raising questions about the tests, and has been caught monitoring kids’ social media to stop testing leaks. In the developing world, Pearson is charging poor parents up to half their income to send a single child to school and spending millions to expand its markets. That model is broken, and the company isn’t returning good value for shareholders or helping improve public education. Send a letter to Pearson’s board of directors and urge them to review their broken model and come up with a new one. Our shareholder resolution calls on the company to review this flawed model, and we’re excited to have major shareholders and more than 10,000 citizen co-sponsors supporting us. But Pearson refuses to listen—in fact, its board is actually telling shareholders our resolution has no merit and is urging a vote against the resolution. They claim there’s no problem with their failing business plan that has put profit over students. This Friday, I’ll speak about the resolution personally at Pearson’s shareholders meeting. We need your help to keep the pressure on Pearson to change course. Send them a letter today.